Accord Publishing, a division of Andrews McMe, 9781449410162, 12pp. 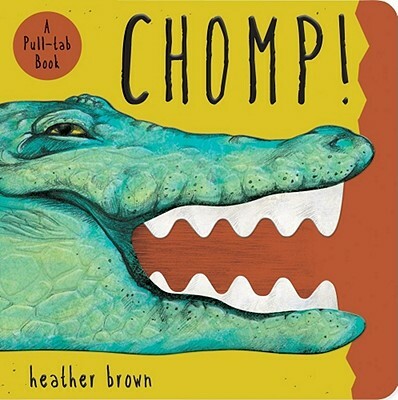 Chomp!, Accord’s latest innovation, pairs a board book with a working mouth, letting little readers make animals yawn, smile and growl. It’s a roaring good time! Accord is taking another big bite of innovation with Chomp! Our newest invention pairs a tot-friendly board book with an actual working mouth. The result is anything but ordinary. Each die-cut spread reveals a different animal, with the mouth visible through the hole. With the pull of a single tab, kids will become little ventriloquists, working the jaws to make lions roar and polar bears yawn. Adding simple text and richly drawn illustrations makes this an irresistible package. Accord Publishing is a Denver based publisher of fun and interactive children's books.